This very typical romantic comedy flubs details repeatedly in order to reach the moments that it wants to reach. I Don’t Know How She Does It begins with the oddity of characters speaking directly to the camera about the main character, Kate, played by Sarah Jessica Parker. It’s done in a documentary style but the thing is, there is no documentary aspect to the movie. Essentially, this is a hoary device that the movie can rely on without having to explain. I Don’t Know How She Does It is marked by this kind of sloppiness. This very typical romantic comedy flubs details repeatedly in order to reach the moments that it wants to reach; never mind the fact that the audience is not reaching those moments with the movie, but in spite of it. 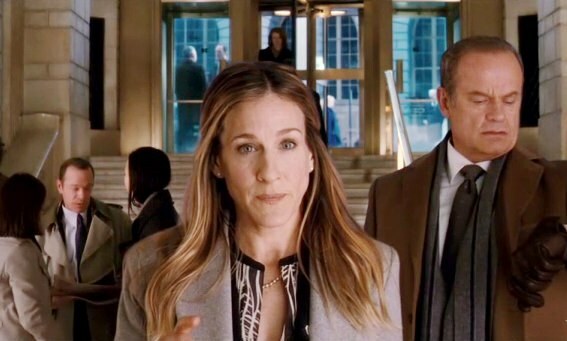 Sarah Jessica Parker is Kate Reddy; super-mom. Kate works a big job as an investment banker yet still finds time for bake sales and birthday parties. Even though her job requires her to travel a lot, Kate’s kids and her husband Richard never want for her time and attention. That changed for a few months late last year–apparently the story is told in flashback though again, the structure is so sloppy–when Kate took on the biggest project of her career. Kate has landed a major meeting with Jack (Pierce Brosnan) from the New York office. When she nails the meeting, Kate finds herself busier than ever. Screenwriter Aline Brosh McKenna has long been fascinated by the ways in which women balance career and private life. Her script for The Devil Wears Prada turns on the question of work ambition versus life away from work. In 27 Dresses, Katherine Heigl’s character created a personal life at work only to find it was a fantasy. In Morning Glory, Rachel McAdams’ TV producer was ready to dump her man because he refused to accept her dedication to her job. When I read that McKenna had written I Don’t Know How She Does It, I assumed this would be her thesis statement on the topic of balance between work and home. Instead, I Don’t Know How She Does It is a sub-sitcom level comedy about a mess of a woman, her messy life and the boring complications foisted upon her by the conventions of a boring movie. The ideas that McKenna enjoys examining are there but they exist not as ideas worth discussing but as boring romantic comedy roadblocks. 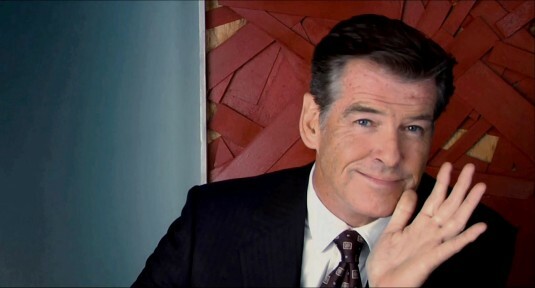 The only interesting performance in I Don’t Know How She Does It, among a cast that includes Greg Kinnear, Busy Phillipps, Christina Hendricks, Seth Meyers, Olivia Munn and Kelsey Grammer, is from Pierce Brosnan. The former 007 is completely charming in I Don’t Know How She Does It and for a time, he elevates the plot from the clichéd depths of lame romantic comedy. I can’t say that I Don’t Know How She Does It is disappointing, as the trailers did little to instill confidence. However, I did hope that screenwriter Aline Brosh McKenna might sneak a few ideas into the film. Sadly, she failed and what we get is a mediocre sitcom pilot complete with storylines that could continue for endless banal weeks on any network or maybe Lifetime.